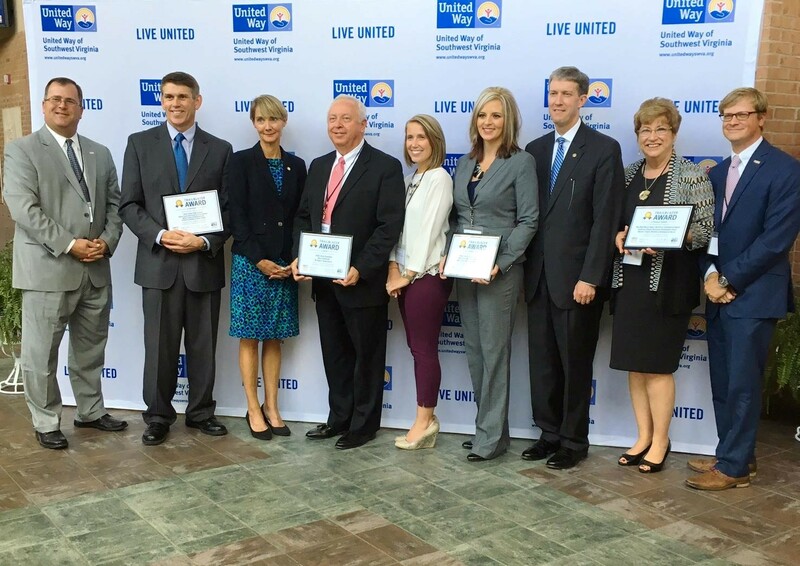 At the Unite SWVA Leadership Summit on Tuesday, October 18, 2016 the New River/Mount Rogers Workforce Development Board, along with the Southwest Virginia Workforce and the Western Virginia Workforce Development Boards, received the 2016 Trailblazer Award in Financial Stability for their partnership building and collective impact work around the Regional Rapid Response Initiative. The award was presented by the Honorable Todd Haymore, Virginia Secretary of Commerce and Trade. The Unite SWVA Leadership Summit focuses on cradle to career initiatives in education, financial stability and health that will benefit every citizen of Southwest Virginia. The Summit footprint is planning districts 1, 2, 3 & 4 (or WDAs 1 & 2). After three years of gathering input through the Southwest 2020 Summits, this Leadership Summit was no longer about just casting a vision; but about laying the groundwork for action to advance the local economy through collective impact. At each Summit, Trailblazer Awards in Education, Financial Stability, and Health are given to organizations that have successfully created and/or supported community partnerships that improve Southwest Virginia. In other words, instead of just talking about improving the community, these organizations are actually improving the community using creative and exciting approaches to engage people. Past Trailblazer winners include Dickenson County Schools, The Southwest Virginia Advance Manufacturing Center of Excellence, Mr. Jack Kennedy, Mountain Youth Drama and Pulaski County Drug Court.